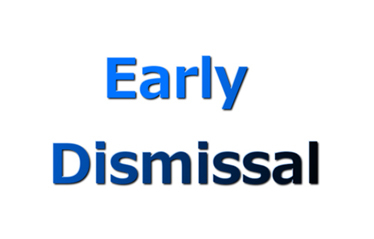 Click Here to log into the RUSD Parent Portal. Click here for directions for setting up weekly emails from Aeries. You can also access student information by downloading the official Aeries App through the iTunes store or Google Play! Scan the QR code to access a Google form where you can anonymously report bullying or any unsafe situation on campus. All students who wish to participate in team sports need to provide a medical clearance. Please click here to download a copy of the form to take to your physician. It's easy to pay for your student's meals online. Click here to make an online payment to your student's account. To view the breakfast menu for January click here. To view the lunch menu for January click here. Breakfast costs $1.50, and lunch costs $3.25. Students will be released at 12:35 PM every Wednesday. Optional Wednesday 7th period ends at 1:33 PM. Every Friday is Spirit Day! 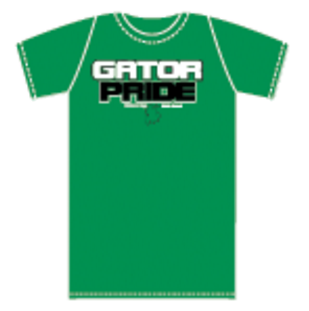 Students are encouraged to wear Gator Gear every Friday. Our next School Site Council meeting is scheduled for Thursday, April 25th, at 2:45 PM in the library. Please contact Mrs. Watanabe, Assistant Principal, for additional information. 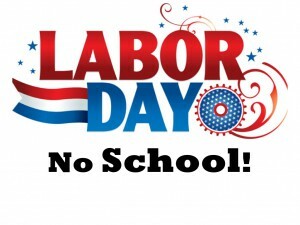 There will be No School Monday, September 3, in observance of the Labor Day Holiday. Gators, it is important the work you turn in to your teachers is based on your own effort. Click the headline above to learn more about plagiarism and talk with your language arts teacher. In a joint effort to further combat chronic school absenteeism RUSD is teaming with the District Attorney's Office. Please click this headline to read “The Back to School Letter from the DA”. Check out Gage Publications new Gator Feed on YouTube. Please subscribe to our channel. Every Wednesday is COLLEGE COLORS DAY! Make sure to wear your favorite college T shirt or colors! Scan the QR code to access a Google form where you can anonymously report bullying. Click Here to see our daily announcements. PARENT CONNECTION: Parent Connection is a series of parent workshops presented by Matthew Gage Middle School Counselors and special guests to ensure that all families become knowledgeable about how to help their children prepare for middle school and beyond. The nine workshops focus on various topics affecting our kids today. Lessons range from high school graduation requirements to college options and are covered in thoroughly developed and interactive presentations. Our next Parent Connection is scheduled for Tuesday, May 14th, 6:30-7:30 PM and is titled "It's Never Too Early to Prepare For College" with a guest speaker from Poly HS. Child care is provided. For a full listing of all of our Parent Connections, click here. RUSD FAMILY RESOURCE CENTER: The Family Resource Center hosts parent seminars each month. No formal enrollment is necessary and all seminars are free. To view a calendar of activities for the current month, click here. To view a calendar of Parent Engagement Seminars for the 2018-2019 school year, click here. The Family Resource Center is located at 6735 Magnolia Avenue, Portable B6. To view Family Resource Center services, click here. ELAC: The English Learner Advisory Committee generally meets the 3rd Tuesday of each month at 6:00 PM. Please see the calendar tab for specific dates. PTSA: The Parent Teacher Student Association generally meets on the 3rd Tuesday of each month at 2:15 PM. Please see the calendar tab for specific dates. SSC: The School Site Council generally meets on the 4th Thursday of each month at 2:15 PM. Please see the calendar tab for specific dates. Sign up to receive text message updates from Matthew Gage Middle School. Text the message "@gagems" to: 81010. Matthew Gage Middle School has an all new website that will be easier for you to find what you need! You can easily view it on a phone, tablet, PC or whatever device you like. We are all about keeping you connected, so click around and explore. If you have any issues or problems with the website, please let us know at communications@rusd.k12.ca.us.